This information is for 2009. 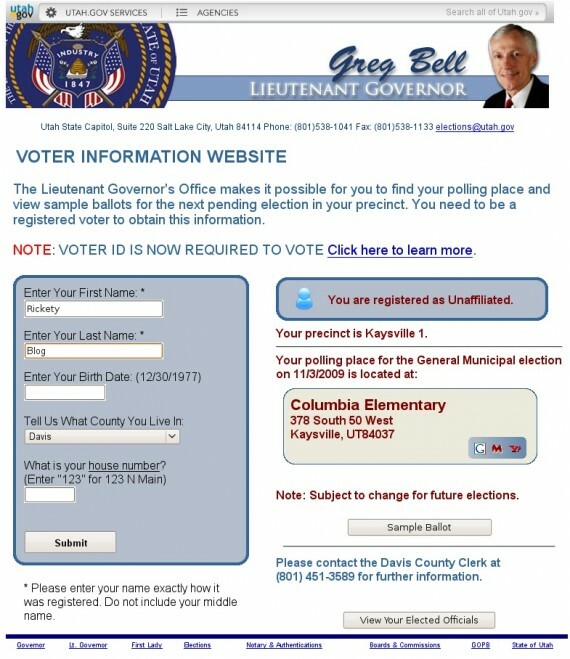 Do not rely on the information here but use Vote Utah. I am accustomed to voting early. I don’t feel as rushed because I can pick a day and time that better suits my schedule. 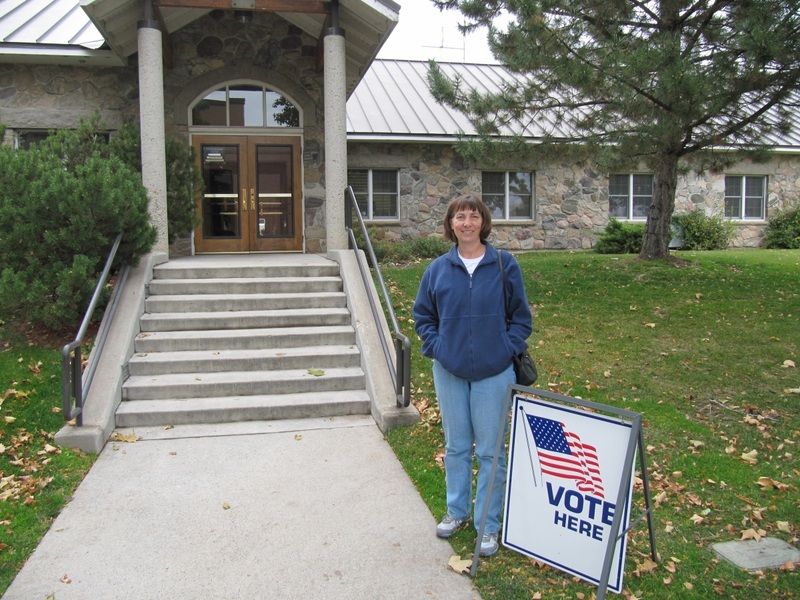 Today my wife and I went to Kaysville City town hall to early vote at 2:30 pm. and found there was no waiting. 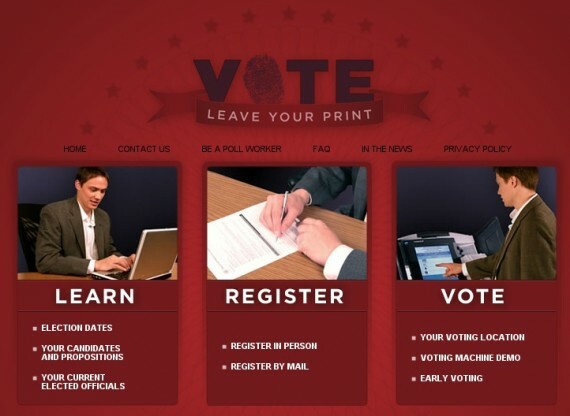 If you wish to early vote then you are too late — today was the last day. However, there is still the election on Tuesday and I can direct you to information that may be helpful. A quick way to find your party affiliation, voting location, and personalized ballot. The personalized sample ballot is a great help in knowing who is on the ballot. I don’t like to be surprised when I get to the polling booth. 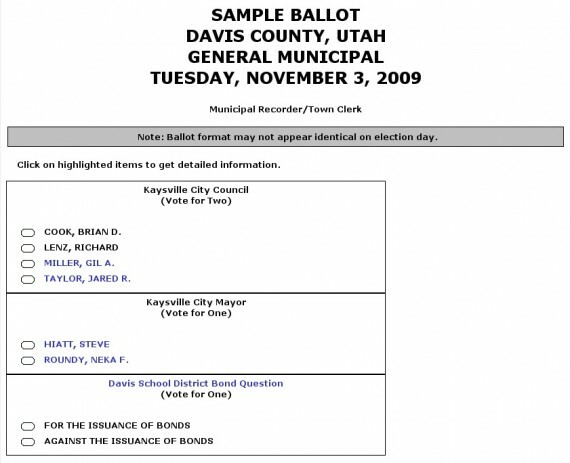 My Kaysville City ballot looks like this. There is only one bond and if you guessed it was for education you would be right. Seems like there is always a bond for education. 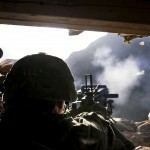 The controversy this time around is about whether your taxes will increase or not. The school district claims it is not a true tax increase because an equivalent amount of debt is being paid off. So let’s put it another way: your taxes will decrease if the bond is rejected. 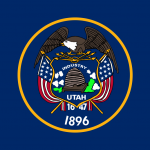 Shall the Board of Eduction (the “Board”) of Davis School District, Utah (the “District”), be authorized to issue general obligation bonds in an amount not to exceed Two Hundred Fifty Million Dollars ($250,000,000) (the “Bonds”) for the purpose of defraying all or a portion of the costs of new school construction, land acquisition, equipment acquisition, and renovation and improvement of existing school facilities, and for payment of expenses reasonably incurred in connection with the acquisition and construction of said improvements and the authorization and issuance of the Bonds; said Bonds to be due and payable in not to exceed twenty-one (21) years from the date of the Bonds? Passage of this Proposition means that the tax on a $252,000 residence within the District would increase by $156.93 per year. The tax on a $252,000 business within the District would increase by $285.33 per year. However, the Board expects to issue the bonds in such a manner that no increase in the current tax rate for debt service will occur. If the bonds are approved and sold, the current tax rate will continue for more years than if the bonds are not approved. The foregoing information is only an estimate of tax increases and is not a limit on the amount of taxes that the Board may be required to levy in order to pay debt service on the Bonds. The Board will be obligated to levy taxes without limitation as to rate or amount in order to pay the Bonds, as provided by law. The amounts are based on various assumptions and estimates, including estimated debt service on the Bonds and taxable values of property in the District.